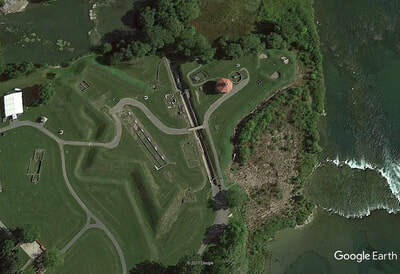 Long Island features a beautiful pastoral setting and a large stone arch dam. Compare the construction quality of this dam to the dam at Jones Falls. It also has an interesting hand operated, centre pivot, steel through truss swing bridge. 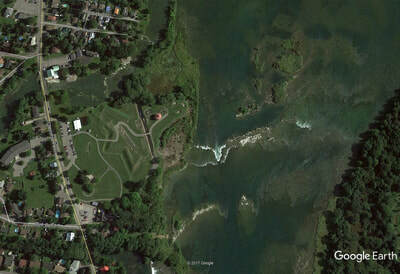 Prior to the locks being constructed, there were rapids on both sides of Long Island. The rapids on the west side were non-navigable, dropping 23 feet, 11 inches (7.3 m) over a distance of 4,266 yards (3,900 m). The rapids on the east side were navigable by canoe, they were about 2300 feet long (700 m) with a drop of only a few feet. 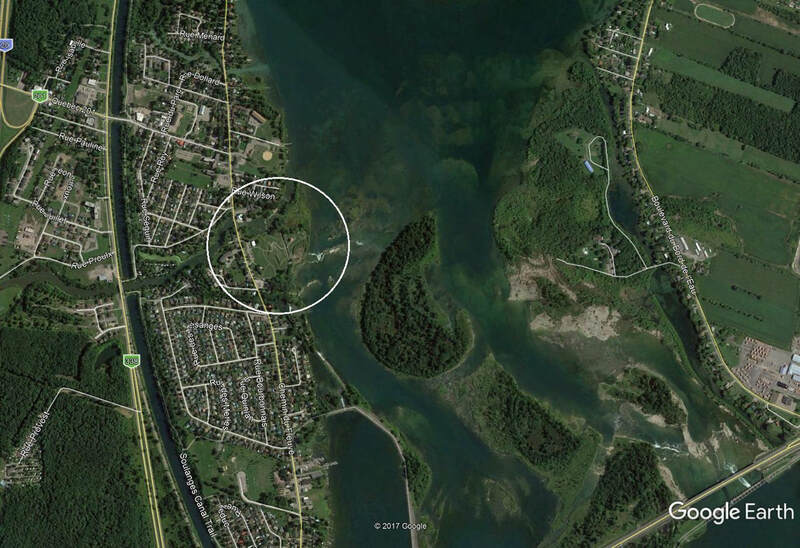 The depth of water over the planned dam site was 1 foot 9 inches (0.5 m). 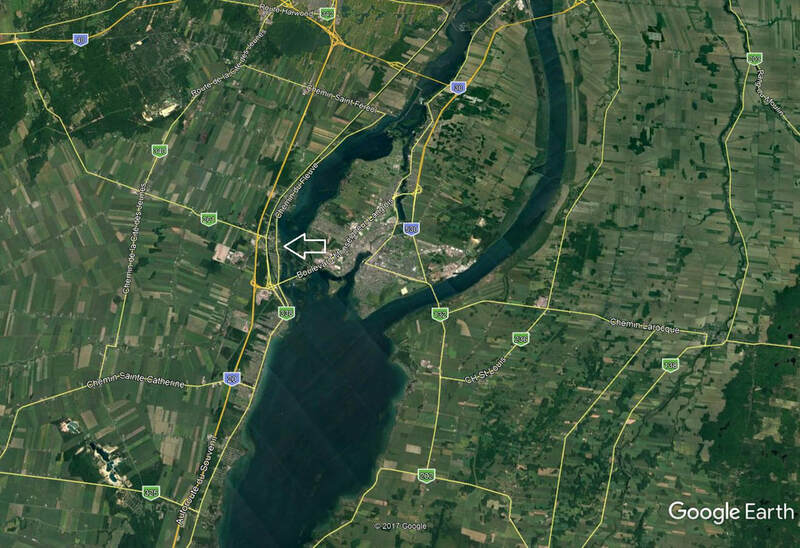 A sawmill, dam and sluiceway belonging to a Mr. Hubert (or Hurlburt) already occupied this planned site for the locks and dam. 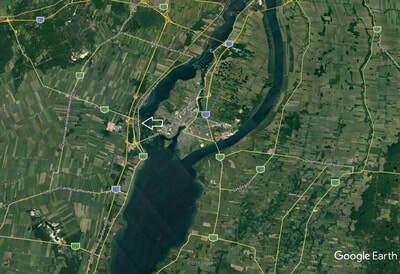 It was in full operation when By traversed the route of the Rideau in the spring of 1827. This dam, unlike some others that have been buried (i.e. Smiths Falls & Old Slys) clearly shows the dressed stone backing. Behind this stonework is impervious clay puddle with a sloping apron of rubble material (clay and gravel) lying on top of the puddle. 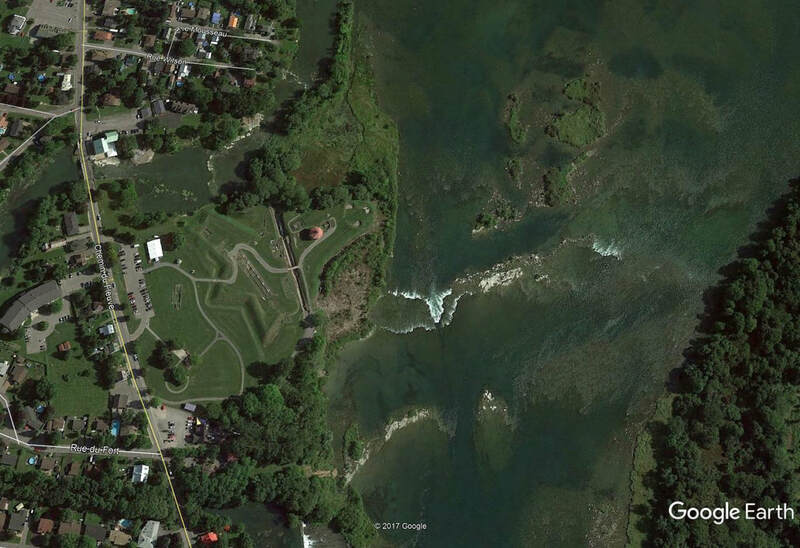 The dam is still doing its job, holding back the Rideau River, after over 170 years. Free parking is available near this historical site. The stone dam is three minutes away from the parking lot.